Objective: To determine if Dynamic Fluid Orthotics can increase circulation in the lower extremities while decreasing daily pain and fatigue. Design, Setting and Participants: A double-blind, placebo-controlled efficacy study was conducted from November 30, 2010, to January 7, 2011 consisting of a volunteer sample of 30 adults ranging in age from 20-70 years old, all suffering from at least one form of lower extremity or back pain. All testing was performed at the Sona Imaging Solutions, Inc., facility in Orange City, Florida. Interventions: Dynamic Fluid Orthotics were worn for a minimum of 6 hours daily for a period of 30 days by each of the participants. Main Outcome Measures: Participants rated pain in the foot, knee, leg, back as well as headaches using the metered visual analog scale [VAS] at 0 and 4 weeks. Daily recovery time from pain and fatigue was measured in minutes and reported at 0 and 4 weeks. Venous Doppler ultrasound and echocardiography studies were performed at 0 and 4 weeks, with imaging taken both with and without the orthotics. 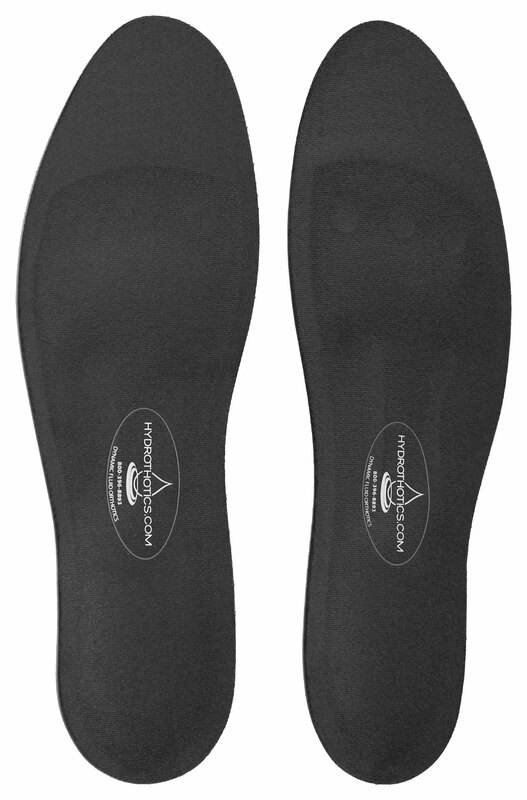 A TekScan® pressure mapping in-shoe device was used with and without the Dynamic Fluid Orthotics, while standing, rocking and walking. Results: Venous Duplex Ultrasound findings prove that Dynamic Fluid Orthotics provide a valuable method for increasing venous circulation, when compared to no orthotics use. There was a significant decrease noted in lower extremity pain, after Dynamic Fluid Orthotics use. Some participants were documented to have increased circulation in the lower extremities as much as 115%. On 65% (70) of the lower extremities tested there was an average increase in venous circulation of 53%. There was total elimination in foot pain in 7 of the participants. A 78% reduction in foot pain was experienced in 16 of the participants. Leg pain in 9 of the participants was reduced by 69%. Knee pain was eliminated in 4 participants while 11 participants experienced a 71% reduction. There was a 72% improvement in back pain in 10 of the participants. Participants were able to recover 49% faster from daily fatigue, allowing them to recover a total of 27 minutes faster than their average recovery prior to wearing Dynamic Fluid Orthotics. As an overall group, 96% of participants noted that they enjoyed wearing Dynamic Fluid Orthotics. extremities, thereby decreasing venous stasis and increasing the likelihood of overall lower extremity health. 1910 Consulting in conjunction with Sona Imaging Solutions, Inc., conducted a thirty day research study on the use of Dynamic Fluid Orthotics and the effects of the orthotics on the cardiovascular system. Thirty volunteer participants were selected to take part in the research study. Participants were required to answer a pre-testing questionnaire regarding their lifestyle, overall general health, pain perception and any pre-existing conditions. The participants were evaluated by cardiac ultrasound to assess for ejection fraction, cardiac output, stroke volume and heart rate prior to orthotics use. Participants also underwent non-invasive venous duplex ultrasound testing, in order to evaluate the velocity and spontaneity of venous flow within the popliteal veins bilaterally, immediately prior to and just after initial Dynamic Fluid Orthotics use. The participants were then evaluated using the TekScan® F-Scan® in shoe pressure monitoring system in order to assess for immediate changes in pressure with and without Dynamic Fluid Orthotics use. Participants returned for re- evaluation by ultrasound after regular, daily use of the Dynamic Fluid Orthotics for thirty days. Of the 30 initial participants 24 returned for follow- up testing. Six did not return, four of whom were given a static, foam insert placebo. The findings of the single returning participant who received the placebo insole were critical in documenting the increase in venous circulatory return with the use of the Dynamic Fluid Orthotics, versus the use of a non-dynamic, static insole. The average increase of velocities documented for this participant was 55%, as compared to the venous flow velocities with the non-dynamic, static insole in place. In order to better understand the effectiveness of Dynamic Fluid Orthotics, the researchers needed to understand the history of its volunteer participants. Prior to the study and before the orthotics being distributed, participants were given a questionnaire, which included questions regarding age, general overall health history, lower extremity health, survey of insole use to date, types of footwear worn regularly by participants, basic lifestyle information, daily pain perception, methods used for recovery and the time it takes for participants to return to a “normal” state without pain after a work day. The study included 17 female participants and 11 male participants. Of these volunteers, five ranged in age from 20-30, nine from 31-40, three from 41-50, seven from 51-60, and finally six participants ranged from age 61- 70. Responses by study participants to the general health questionnaire were as follows: Two participants considered themselves to be in excellent health, 13 in very good health, 14 in good health, and one participant admitted to being in fair health. Contributing factors to these current states of health included heart disease, diabetes, arthritis, scoliosis, high cholesterol, high blood pressure, hypothyroidism, osteoporosis, fibromyalgia, and osteopena. Other contributing factors specifically targeting participants’ lower extremities included flat feet, heel spurs, plantar fasciitis, old injuries, calluses, poor circulation, arthritis of the feet, arthritis of the back, and Morton’s Neuroma. Of the participants studied, 24 said they did not smoke; six did smoke between a quarter to a pack and a half of cigarettes per day. The activity level of the participants was also an important factor when studying the participants’ lifestyle. 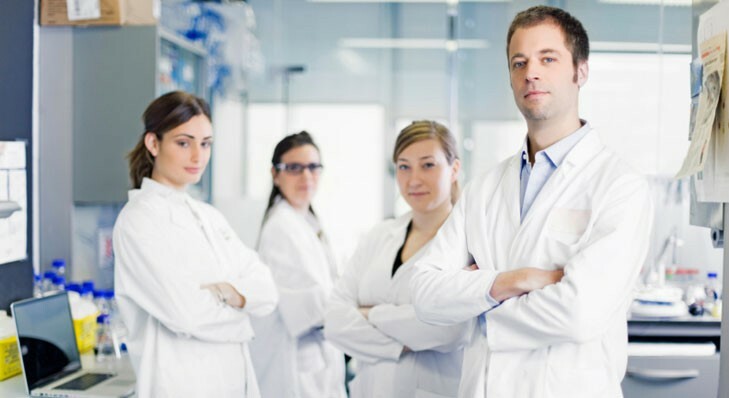 The amount of time each of them spent standing, walking, and sitting in a 24-hour period gave the research team an idea of how many hours a day would be spent actively wearing the Dynamic Fluid Orthotics. During the 30 day trial, participants noted that they spent an average of 4.5 hours standing, 3.5 hours walking, and 6 hours sitting per day. When asked, half of the participants felt that they had experienced less daily pain; a 43% decrease was noted in general pain by the end of the study. Participants said they had 49% less fatigue and were able to recover 27 minutes faster than before wearing Dynamic Fluid Orthotics. Both the participants and the researchers believed that this was a significant finding. Though only 20 of the 24 returning participants admitted to having foot pain going into the study, 16 out of those 20 participants noticed a significant reduction of pain after wearing Dynamic Fluid Orthotics. The average reduction in foot pain in 16 of the participants was 78%, while seven of the participants noted elimination of foot pain. Of all participants in the study, 54% said they thought they experienced less foot pain while wearing Dynamic Fluid Orthotics. Of the 24 returning participants surveyed, 11 reported having no history of heel pain, while nine participants declared a reduction in heel pain after wearing Dynamic Fluid Orthotics. Only four participants were unable to notice a decrease in heel pain. When asked about back pain, 62% confirmed that Dynamic Fluid Orthotics successfully reduced daily back pain. In fact, 10 of the 24 participants saw an average improvement of 72%. Of the participants, 20% did not experience any previous back pain therefore no change was noted. Other notable data: 68% of the participants noticed warmer feet after wearing Dynamic Fluid Orthotics; of those surveyed, 34% noticed a decrease in daily lower extremity swelling and a 28% decrease in numbness; 64% of the participants confirmed that Dynamic Fluid Orthotics were indeed effective. 96% said that they liked wearing Dynamic Fluid Orthotics and 52% reported they had more energy at the end of the day. A total of 65% of the participant’s extremities that were evaluated during the initial pre-trial studies revealed an immediate increase in venous peak systolic flow velocities when the Dynamic Fluid Orthotics were used, versus evaluation with no insole in place. This finding proved that Dynamic Fluid Orthotics provide a valuable method for increasing venous circulation, when compared to no orthotics use. Of the participants who experienced an increase in venous flow velocity, the average increase was 53%, as compared to the venous flow velocities without the insole in place. After use of the Dynamic Fluid Orthotics for 30 days, 46% of participants revealed an increase in ejection fraction and overall left ventricular systolic function. Of those participants who experienced an increased ejection fraction, the average increase was approximately 8%, proving that Dynamic Fluid Orthotics are beneficial to the cardiovascular system by improving overall cardiac function. The findings of the participant which received the placebo insole documented the increase in venous return with the use of the Dynamic Fluid Orthotics, versus the use of a non-dynamic, static insole. The average increase of velocities documented for this participant was 55%, as compared to the venous flow velocities with the non- dynamic, static insole in place. All of the participants went through a 3-part series of TekScan® pressure mapping tests. Each sensor is equipped with 1,848 sensels to collect data. Standing, rocking and walking both with and without Dynamic Fluid Orthotics provided data on how much force and contact pressure distribution were experienced with each step. All 30 of the participants saw a reduction in overall pressure on the bottom of their feet. There was also a significant increase in the amount of surface area on the participant’s foot that was used after Dynamic Fluid Orthotics were placed in the shoes. Not all participants showed signs of compromised venous flow at the beginning of the study. When analyzing the pain perception data not all participants experienced pain in all areas. Data on those participants was inconclusive, therefore not included in the results. When asked to leave feedback 22 of the 24 final participant’s left positive feedback, one participant indicated the orthotics made the shoe too tight while the remaining left no feedback at all. Funding/Support: This study was funded by HappyFeet USA, Inc. All orthotics were provided by HappyFeet USA, Inc at no charge.